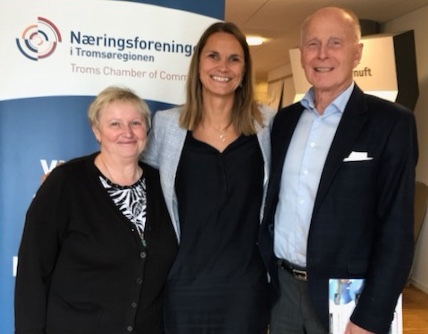 HNCC Chairman, Mr Adam Laska and Hungarian Commercial Attache to Norway, Mrs Klára Jankovics had a business trip to Tromsø and Bodø at the end of August. The aim of the travel to the far North region was to establish relationship, to „open doors” among prospective Hungarian and Norwegian institutions and business entities, thus promoting further expansion of bilateral trade, touristic and investment relationships. Thanks to the efforts and local network of our fellow members residing in these cities, excellent and well-prepared discussions have been arranged with various businesses engaged in tourism, fish farming, construction, education and e-health. They also met the representatives of University of Tromsø /UiT/, Tromsø Chamber of Commerce and Bodø Kommune.